Despite a dip in the number of new wells being drilled in the Marcellus Shale, the amount of methane in the air in rural parts of Pennsylvania is on the rise. 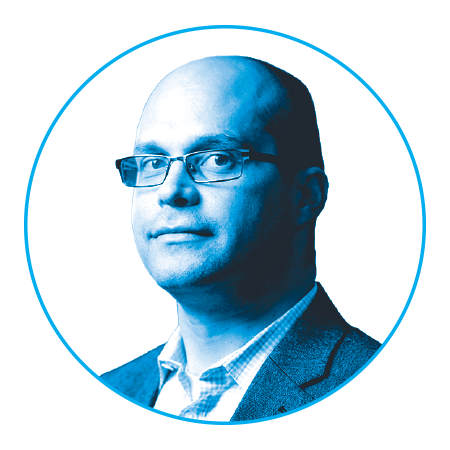 DeCarlo is an associate professor in the College of Engineering and the College of Arts and Sciences. Emissions of natural gas-related pollutants are getting worse across the section of Pennsylvania that sits atop the Marcellus Shale, the largest gas field in the country. Atmospheric methane levels are increasing despite a decline in the number of new natural gas wells in the region, Drexel researchers have found. Their study noted a substantial increase from 2012 to 2015 in measurements of methane and other air pollutants taken three years apart in the rural areas of Pennsylvania that have been the target of natural gas development over the last decade. Since the first shale gas wells were drilled in the Marcellus Shale, a region that diagonally bisects the state from the northeast to the southwest, there have been concerns about the environmental effects of unlocking new stores of fossil fuel by an unconventional method called hydraulic fracturing, or fracking. Nearly a decade later, researchers are still working to understand just how the chemicals released — and those used to release them — are lingering in the water and air. The study, published in the journal Elementa: Science of the Anthropocene, is the latest in a series conducted by DeCarlo and the Drexel Air Resources Research Lab. The team traversed the Marcellus Shale region using Drexel’s Mobile Laboratory, a Ford cargo van equipped with the necessary equipment to measure concentrations of chemicals and particles in the air at one- to 10-second intervals while driving. 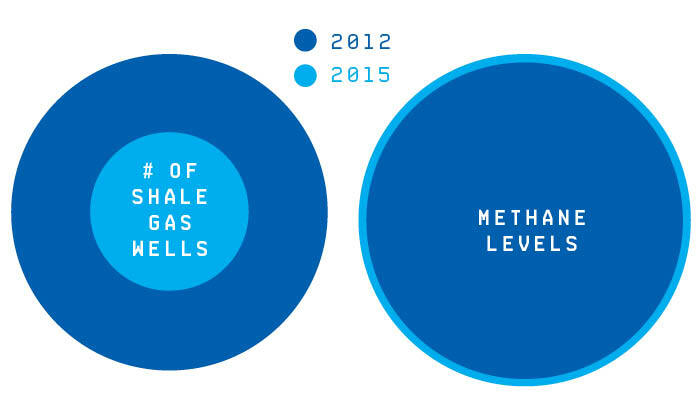 Initial measurements taken in 2012 showed methane levels at 1,960 parts per billion — roughly 50 parts per billion higher than would be expected in a rural area without natural gas development. By 2015, that concentration jumped another 100 parts per billion. Over that time period, production of natural gas from the region more than doubled, despite the fact that there were about half as many new wells drilled in 2015 as in 2012, according to Pennsylvania Department of Environmental Protection figures cited in the paper.